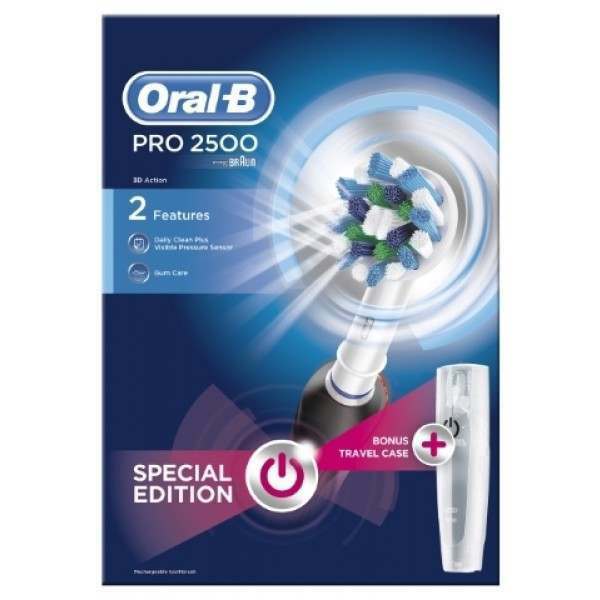 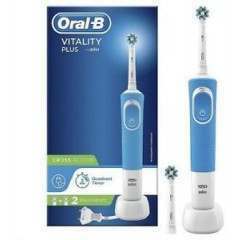 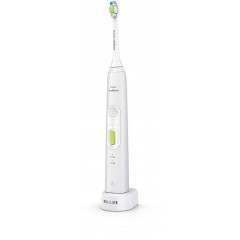 The Oral-B PRO 2500 electric toothbrush is clinically proven to provide a superior clean with the professionally inspired design of the CrossAction toothbrush head. 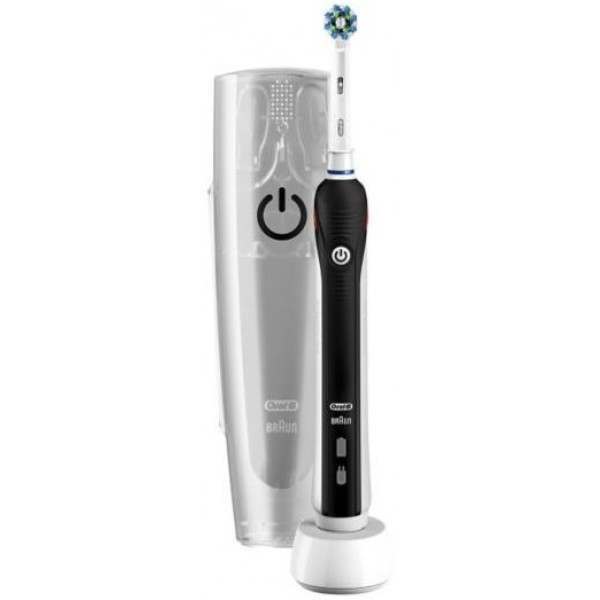 This surrounds each tooth with bristles angled at 16 degrees and the 3D cleaning action oscillates, rotates and pulsates to break up and remove up to 100% more plaque than a regular manual toothbrush. 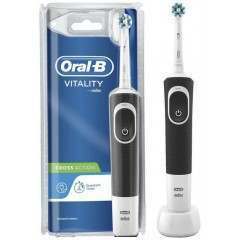 To ensure you are not brushing too hard, the addition of the pressure sensor is a helpful tool which alerts you when you are applying too much pressure as you brush. 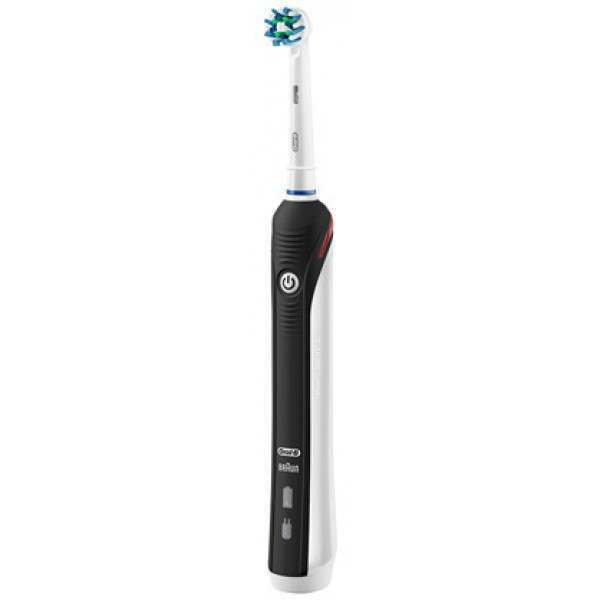 Over-brushing can be harmful for your gums, therefore this is an essential feature for your electric toothbrush. 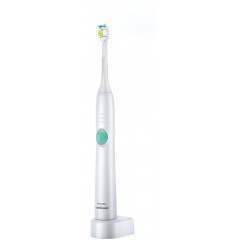 In addition to the Visible Pressure Sensor, there are two other cleaning modes available; Daily clean for everyday cleaning and Gum Care which gently stimulates gums. 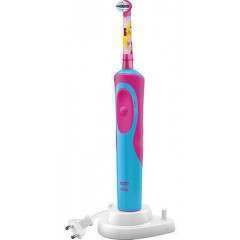 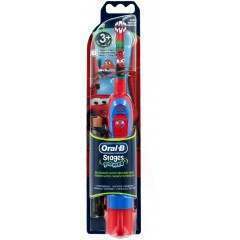 The Oral-B PRO 2500 toothbrush is compatible with a variety of Oral-B toothbrush heads.